I decided to try my hand at writing a historical romance after throwing a novel across the room while saying “I could write a better book than that!” I’m the kind of person who, first of all, never throws anything anywhere! And, second, I don’t believe in saying I can do something better than someone else until I’ve actually tried it. So, I felt compelled to give it a try. I did write the book but I don’t know if it was a better book or not. But by doing it I realized how much I loved writing. The answer to this question is a very big YES! I started out writing romance novels. But even then I couldn’t commit myself to just one genre within that genre. Among the romance novels I have written are historical/family saga, suspense, paranormal, contemporary, horror, and humorous. Next, having pretty much used up all my romantic ideas, I turned to what I would call metaphysical fiction. 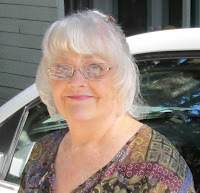 I am still wrapped in this new genre and can see where I might write several more books within it. My most recent genre obsession is horror. I call it women’s horror, but my readers are by no means exclusively women. My newest book, The Mortician’s Wife, is in this genre. I would have to say Horror is the most fun to write. I get to let my imagination go where it has never gone before! The story of how The Mortician’s Wife came about, and how I came to choose the title, are a story in themselves. There actually is a haunted old building in my town that had at one time been a mortuary. And there actually was a woman who had been married to the last mortician and continued living in the building for four decades after her husband died. The story of The Mortician’s Wife was inspired by these events, but the story is entirely fictional. It is a result of my asking myself, why would she stay there all by herself for all of those years? Had something terrible happened there that made her stay? I always give my books a title while I am beginning to write. However, I do sometimes change the title after I have finished writing it. The Mortician’s Wife was one of the books where the title came to me early on and just seemed to stick. What is your “work in progress” or upcoming projects? 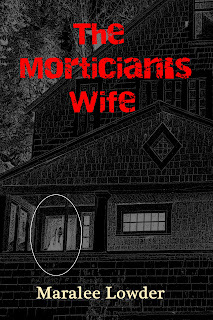 I am currently working on a sequel to The Mortician’s Wife. In this book, the wife is no longer the central character—instead, the mortuary is. When I learned that because the actual building is within my city’s Historical District, it would be very difficult to destroy it, I realized that no matter how dangerous the hauntings may become, the building will always be there. And, if the building is there, so will the stories of its ghostly inhabitants. The cover for The Mortician’s Wife was created by Tim Hewtson, my editor. After taking a tour though the building he decided that it just had to be a part of the cover. I believe Mr. Hewston captured the essence of the house and the story beautifully. There are several things I would tell someone who was considering becoming a writer. Or, at least, those who chose to write fiction. First, don’t even consider doing it if it isn’t something you love. In other words, don’t do it simply for the money. Like so many of the creative arts, fame and fortune come to only a few fiction writers. With luck you may make a fairly decent living, but only if you (and this is my second piece of advice), never give up! Join a writer’s group, preferably one that is specifically within your genre, such as RWA (Romance Writers of America) and Mystery Writers of America. Go to their conferences. Then, write what you love. And, of course, read, read, read. Thank you so much for giving me this opportunity to talk to you about my newest book, The Mortician’s Wife, and about my career in general. Was a pleasure and an honor. “I have spent the night in supposedly some of the most haunted buildings in America. I have met people who could fairly be described as evil incarnate. I have been to the Old Mortuary in Dunsmuir. It is gorgeous but I wouldn't spend a single night there.” Kathleen McKenna, author of horror novels 'The Wedding Gift' and 'Family Matters'. Five miles from the new age Mt. Shasta City, the sleepy Northern California town of Dunsmuir plays host to a nightmarish house – the Old Mortuary – where the mortician's wife spent four decades alone, and some say insane, sleeping in an alcove off one bedroom where she believed the evil spirits of the house could not get to her, harboring terrible secrets. With the steady flow of dead bodies through the basement and the murderous events upstairs, this is the story of how the Old Mortuary of Dunsmuir became one of the most haunted houses in America as a result of the personality and misdeeds of one man, Horace Carpenter, whose eternal soul most certainly does not rest in peace, as many will attest, and probably never will.